When she was a child, Valentina Tereshkova (March 6, 1937) dreamed of being a train driver. She was fascinated by the idea of ​​taking trains, seeing different cities and meeting people. Her childhood was truncated by the Second World War, in which her father died on the front lines. “We were children of the war,” she recalled a couple of years ago at the Science Museum in London. Little Valentina did not imagine then that she would not drive trains but spacecraft and that she would become a legend, being the first woman to do so. 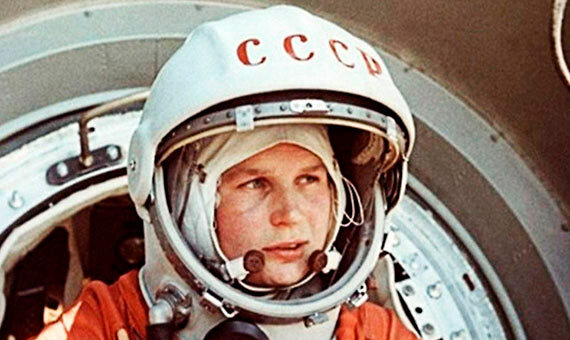 At age 80, Tereshkova is an icon in her country. After her space career, she obtained a doctorate in engineering and became a member of the Central Committee of the Communist Party. Today she is still active in political life and regularly attends the Duma—the parliament of the Federal Assembly of Russia. President Putin himself congratulated her on her last birthday. Valentina’s mother learned to read at the age of 26. After becoming a widow, she raised her three children in the village of Maislennikovo, in central Russia. Valentina started school at the age of eight but had to leave at sixteen to begin working. A keen amateur skydiver, she trained in a local club, a decision that would mark the direction of her life. While working in a textile factory, the Soviet Air Force undertook an exhaustive search in flying clubs to locate women parachutists. Valentina was one of the four hundred chosen. Surrounded by great secrecy, the young women had to overcome different eliminatory tests and in the end there were just five left, among them Tereshkova. After two years of training, she was chosen to be the first woman to fly in space. Her humble origins and her proletarian profile brought her closer to the people, which fitted perfectly with the model sought by Russian leaders. On June 16, 1963, Tereshkova took to space in command of the Vostok 6 mission. The objective, in addition to surpassing the United States by sending the first female astronaut to space (as had already happened with Yuri Gagarin), was to find out how the female body responded to these extreme conditions. The mission lasted almost three days, in which Tereshkova—who was then 26 years old— orbited the Earth 48 times. When she was already in orbit, the cosmonaut realized an error in the control program that would have prevented her from descending to return to Earth. After she communicated the problem to the base, they were able to correct it but Korolev asked her to keep it a secret. Tereshkova stayed silent for thirty years, until the person responsible for the error finally made it public. Her exploit caused a great stir in the Soviet Union. As Tereshkova’s mother had no television, her neighbours invited her to their house to see Valentina in space, which was a real surprise to her as she knew nothing due to the secrecy of the Russian authorities. Nineteen years had to pass before another woman would fly in space, Russian Svetlana Savistskaya, who did so with the Soyuz-T 7 mission in 1982. Russia won the women’s space race over the United States by a wide margin, as the first American woman who made it to space was Sally Ride in 1983. Why did Russia take so long to send a woman back into space? Although for Nikita Khrushchev, the first secretary of the Communist Party of the Soviet Union, the space race was a priority—he even attended the wedding of Tereshkova with the also-cosmonaut Andriyan Nikolayev—with his dismissal in 1964 the goals changed. For the new leader, Leonid Brezhnev, the space program was no longer a priority and a new group of female cosmonauts was not trained until 1979. After her mission, Tereshkova studied space engineering and obtained her doctorate in 1977. In those years she was a member of the Supreme Soviet and until 1991 belonged to the Central Committee of the Communist Party. On her eightieth birthday, Vladimir Putin congratulated her in person with these words: “You have always been an example to us of how you have served the motherland, over time and with different tasks. 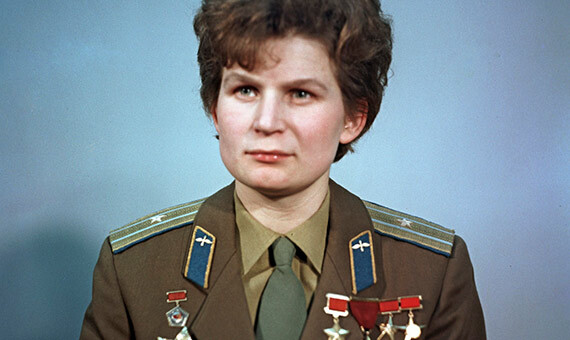 Today you continue to do so in the Duma.” Now retired from the air force, Tereshkova retains that thirst for adventure that took her into space and has reiterated that she would like to fly to Mars, even if it were only a one-way trip.